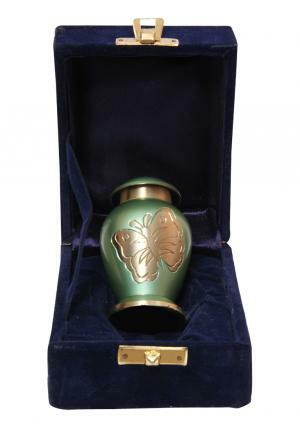 Low Price Lite Teal Green Butterfly Small Keepsake Memorial Urn For Cremated Remains UK Free Shipping. 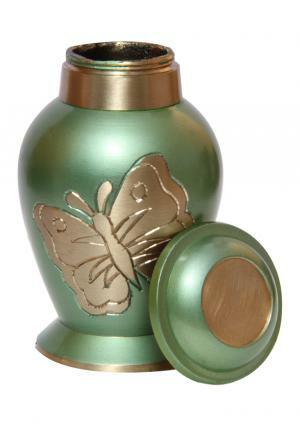 The Avondale Lite Teal Green Butterfly keepsake urn is one of its kind and unique keepsake, which will definitely be a very good option for anyone looking to create a stunning memoir for their dear departed. 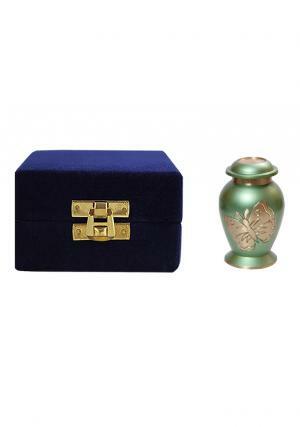 The colour is lite teal green and gold, which gives it a unique look, making it one of the best keepsakes that are available. The colour is definitely one of the most rate ones available in the market, and would be a good bet for anyone who wishes to have a unique and memorable momentum for their loved ones in their family or social group. 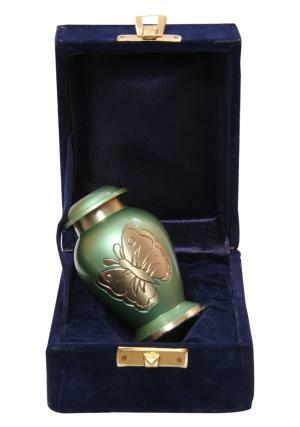 This urn comes with a box of its own, making it possible for the owner of the urn to either keep it all by itself, or in a box. 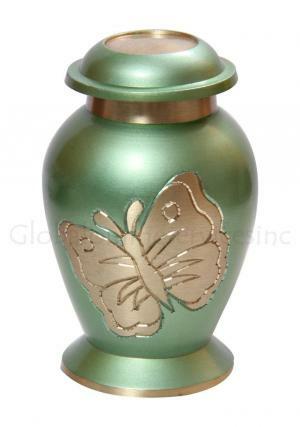 This urn is about three inches. We offer the best prices for the keepsakes that are among the best in the market. We offer a safe digital environment for buying products of our website, which makes the entire buying experience a safe and hassle-free for the buyer. 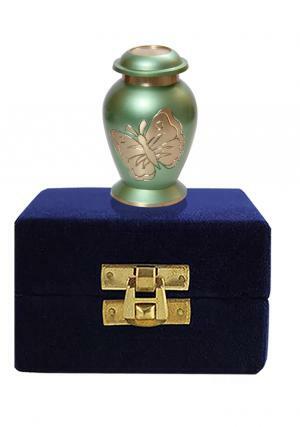 We also offer a return policy on urns that are unused, which would help the users save money and make a better choice. We also offer free shipping on most of our products, thereby saving more money for our valued customers.